Project ChildSafe Communities is supported by NSSF through a two-year $2.4 million grant by the U.S. Department of Justice’s Bureau of Justice Assistance (BJA). BJA awarded this grant to help promote additional firearms safety efforts on a national level by creating Project ChildSafe Communities in key cities around the country. In Memphis, the initiative will provide local law enforcement agencies with thousands of gun locks to distribute across the city. The initiative is partnering with several local organizations representing the education community, mental health and suicide prevention advocates and hunting and shooting groups to help share messages and information about responsible firearms storage. Their collective efforts will be backed up by community-wide messaging that that will appear in social media, in an upcoming public service announcement on TV and radio, and on billboards around the Memphis region. 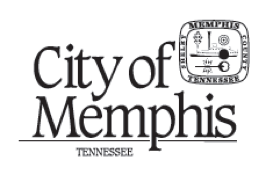 In addition to NSSF, BJA, the City of Memphis, the Memphis Police Department and The American Foundation for Suicide Prevention, other local stakeholders supporting the program include, 4-H Shooting Sports, Delta Waterfowl, Range USA, The Well Armed Woman, Shelby County Sheriff’s Office, and the Shelby County District Attorney. “Memphis represents the first Project ChildSafe community effort in Tennessee and, based on the tremendous local support we’ve seen already, it will serve as a model for similar firearm safety efforts across the state and around the nation,” said NSSF President and CEO Steve Sanetti. Through partnerships with more than 15,000 local law enforcement agencies and more than 3,400 organizational supporters, Project ChildSafe has helped educate firearms owners on the importance of gun safety, while distributing more than 37 million free firearm safety kits — which include a free gun lock — to communities in all 50 states and the U.S. territories. This project was supported by Grant No. 2015-FG-BX-K001 awarded by the Bureau of Justice Assistance. The Bureau of Justice Assistance is a component of the Department of Justice’s Office of Justice Programs, which also includes the Bureau of Justice Statistics, the National Institute of Justice, the Office of Juvenile Justice and Delinquency Prevention, the Office for Victims of Crime, and the SMART Office. Points of view or opinions in this document are those of the author and do not necessarily represent the official position or policies of the U.S. Department of Justice. The National Shooting Sports Foundation is the trade association for the firearms industry. Its mission is to promote, protect and preserve hunting and the shooting sports. Formed in 1961, NSSF has a membership of more than 12,000 manufacturers, distributors, firearms retailers, shooting ranges, sportsmen’s organizations and publishers. For more information, log on to www.nssf.org/.